Austria is located in the heart of Europe. It consists both impressive and beautiful Alps. This nation has greatly contributed to enrich the culture of Europe with renowned thinkers such as Ludwig Wittgensteign, Sigmund Freud and Franz kafka . The following are requirements which should be fulfilled in order to receive the matriculation for a foreign citizen, as regular student to pursue Study in Austria or education in Austria universities. The certification should be sufficient, for acceptance of desired course of study at a university in nation in which it was acquired. In addition, the applicant should have sufficient German knowledge. If essential, then examination must be taken. We find Study in Austria for Indian Students is lucrative as Austria universities do differ greatly from one another both in size as well as structure. The study programs offered at classical universities such as Graz, Vienna, Innsbruck, Linz, Klagenfurt and Salzburg does cover broad spectrum of very different academic subjects. During the last few years, the Austrian university has introduced three tier system of degrees such as in Europe as per Bologna process. 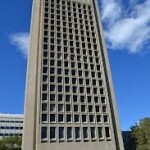 Besides, it has old two tier system, which is still existing in few subject areas well as universities. 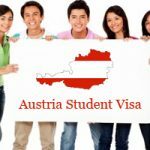 Indians in Austria, Student Visa, Students in Austria, Study in Austria Austria Student Visa, Education in Austria, Indian Students in AUstria, study in Austria. permalink. I wish to travel to travel to Austria, is it essential to take Travel Insurance when I visit Austria…If yes please advise me who provides the best insurance. After being Citizen of Austria, do I still need to attend Immigrant visa to Austria? 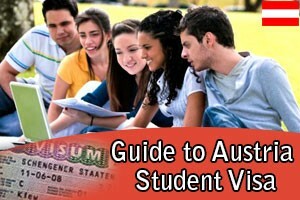 I would like to apply for the Austria Student Visa. Which application form shall I use? 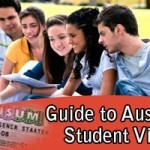 Do Austria Student visa offers student right to live and study? How can I stay in Austria with Student Visa? Is it really possible to me? Because I hope it is impossible? Is there an obligation for the applicant to get a government approved offer of employment in order to qualify for permanent residence under the Austria Skilled Worker?